BAND GEEK is more than just a show, it has become a guiding philosophy in everything I do. In a world where everyone is trying to out-cool each other, I’m more comfortable proudly wearing my passions on my sleeve and not worrying about whether anyone else will think it’s geeky or cheesy. For the long version, read on! I was born in Brooklyn, NY in 1980 to a very musical family. I’m among the 5th generation of Castellano musicians. I started singing with my dad, John Castellano’s band at a very early age, maybe 5 years old. I started formal guitar lessons at 8 years old and was taught bass guitar by my uncle, Phil Castellano, a few years later. As a kid I was really into early rock n roll. My favorites were Elvis Presley, Ritchie Valens, and Little Richard. I had a pretty extensive solo repertoire featuring these songs and would perform at local events with an acoustic guitars doing a pretty silly Elvis impersonation. The next logical influence for me was The Beatles, which is an obsession I still have to this day. Around age 12, I became very interested in recording and my uncle Phil was kind enough to indulge my interest by giving me hand-me-down recording equipment. By the time I was 14, I had a 16 track analog tape machine in my parents’ basement and I was hooked. I taught myself a few other instruments to supplement my multi-track recordings, including: piano, drums and harmonica. As a teenager, I was introduced to Ron Thal, AKA Bumblefoot. Ron became my recording mentor for several years. 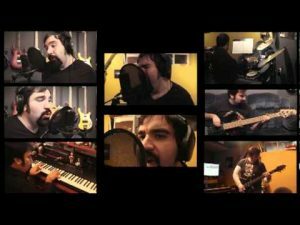 I was blown away by his album, “The Adventures of Bumblefoot,” in that he recorded the entire thing by himself in his home studio. 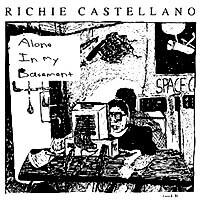 This inspired me to try to make my own solo album, so in 1997, during my junior year of high school, I wrote and recorded my first CD, Alone In My Basement. Ron continued to be a huge influence in my life. I ended up assisting him with the engineering of some of his solo projects and for a brief period he played in my cover band! As I got deeper into playing and recording, I became heavily influenced by Queen and the bands of the Progressive Rock era. 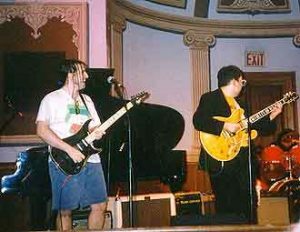 A couple of years later I got together with some very talented friends, Andy Ascolese and Andy Graziano. 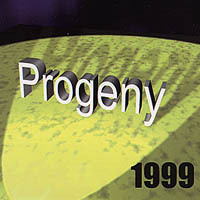 The three of us recorded another CD with these new influences called Progeny 1999. I attended the Purchase College Conservatory of Music where I received a Bachelors in Music Production and a Masters in Music Composition. While at Purchase I had the opportunity to work with Grammy-winning producer Joe Ferry. 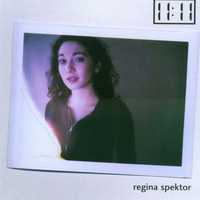 One of the highlights of my Purchase career was producing the debut Regina Spektor album, 11:11. During my time working with Joe Ferry, I produced several records for CMH/Vitamin records and eventually got some of that music placed on MTV’s: The Osbournes. 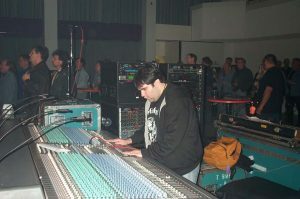 While still a student at Purchase, I got a call from a family friend, Steve LaCerra to fill in for him as Front of House sound engineer for the classic rock band, Blue Öyster Cult. It was a big thrill for me as a sheltered 20 year old kid to go on tour for the first time with a famous rock band. I got along really well with the guys and in 2003 they ended up taking me on a 13 city tour of Germany. It was my first time leaving the USA. With less than a week until the next gigs and no subs available, Blue Öyster Cult frontman Eric Bloom called me to see if I could fill in until they found a full-time replacement. I accepted and played my first BOC gig in Las Vegas with no rehearsal in front of a theater full of die-hard fans. A few weeks later Eric Bloom and Buck Dharma asked me to join Blue Öyster Cult full-time, and I happily accepted. While maintaining a relentless touring schedule with BOC (they don’t say “on tour forever” for nothin’) I still made an effort to write and record my original music. In 2005, Andy Ascolese and I released a power pop album called 2 Part Invention. 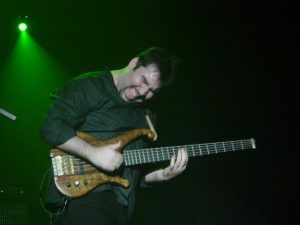 In 2006 original BOC member Allen Lanier retired. Instead hiring a new musician that could double on guitar and keyboard, they asked if I’d be willing to move over to Allen’s position. 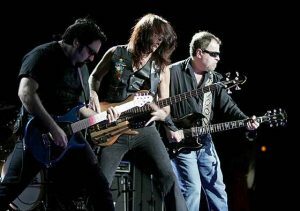 Again, I accepted and the bass position was eventually filled by Rudy Sarzo. If my dad is my musical mentor, and Ron Thal is my recording mentor, then Rudy Sarzo is definitely my video mentor. Although Rudy’s stint with us was brief, he made a lasting impact on me. It was Rudy who taught me video editing and urged me to develop my YouTube channel. His advice would change my life for the better. I was starting to feel a little burnt out on music between touring, teaching and doing my own original projects. I needed to do something that was different, so I began work on an original YouTube video series called Tiger’s Fang. This was strictly a hobby, purely for my own enjoyment. The series is a tribute to my favorite old-school Kung Fu movies of the 60’s and 70’s with heavy inspiration drawn from Blake Edward’s and Peter Sellers’ Pink Panther films. 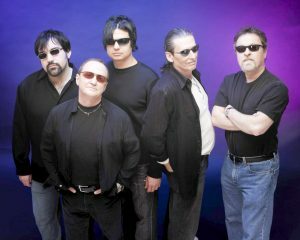 Many of my musician friends, including Eric Bloom and Buck Dharma had starring roles in The Tiger’s Fang. Even though Tiger’s Fang was purely recreational, it taught me valuable skills that I’d later use on much bigger projects. 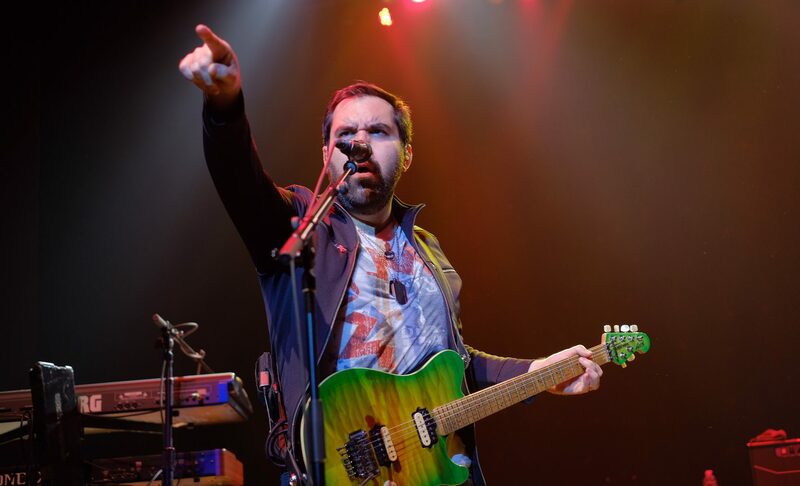 In 2011, I entered the Queen Extravaganza online competition to play in Queen’s officially sanctioned tribute band. To my surprise, I was asked to go to LA to perform for Roger Taylor. I didn’t end up making it past the final round, but the experience inspired me to finally combine my music and video production skills. Later that year I locked myself in my studio for a week straight and when I left I had completed a one-man version of Queen’s Bohemian Rhapsody, where I played and sang all the parts. I also video recorded my performances and edited them into a split-screen video. The release of this video was life-changing. The video went viral, receiving well over a million views, and landed me several interviews on various news outlets. It also led to more gigs and more sessions, which was great. I followed this video up with more split-screen covers, but none of them reached the popularity of Bohemian Rhapsody. In 2012 I shifted my focus back to original music. This time I was inspired by Ann Marie’s voice. 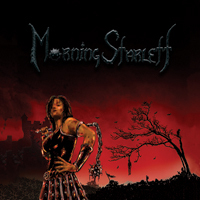 I wrote a collection vocal intensive metal songs for her to sing and we called the band and the album MorningStarlett. In 2014 I took a job doing product demos for American Musical Supply. I learned a lot more about video production and presentation that would come in handy again further on down the road. While working at American Musical Supply, I had a pretty crazy schedule. I would play BOC gigs all weekend and work at the AMS office all week long, with no downtime. 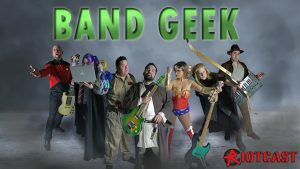 To break up the grind I had the brilliant idea of starting my own podcast, Band Geek. I was fortunate enough to get picked up by the RiotCast Network. RiotCast is the biggest comedy network on the East Coast, and they decided to branch out a bit to music, so that’s where my show came in. 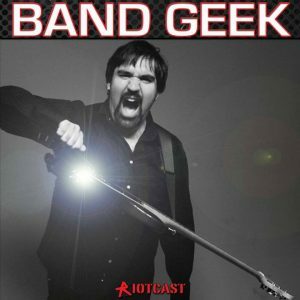 At first, Band Geek was a simple audio-podcast where my friends and I would discuss the stuff we like and maybe jam on a few songs here and there. Eventually it morphed into a beast that could not be fed, complete with elaborate video production, comedy bits, live streams, full band performances, and so much more. Unable to do all these things at the same time, I eventually left AMS to do music full-time again. I called on every musician friend I knew to be guests on the show and all of their contributions made the show so much better. Eventually we ended up with a great core group, with members occasionally rotating in and out. Aside from the Band Geek videos, split-screen covers and original music videos, I also started doing gear videos for fun. Using some of the techniques I learned at AMS, I was able to my own style of gear demos. 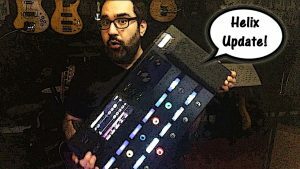 One of my favorite pieces of gear, the Line 6 Helix, ended up being the subject of some of my most popular YouTube videos. Your site looks great Richie. Richie, I fell in love with the Band Geeks. 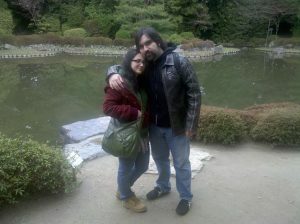 My wife has MS & i’m a full time Caregiver! Being a musician myself, I thank you as your video’s take me away…..
Amazing talent. Love Band Geeks work. Your wife is talented, funny, passionate and adorable all wrapped into one. Thanks.